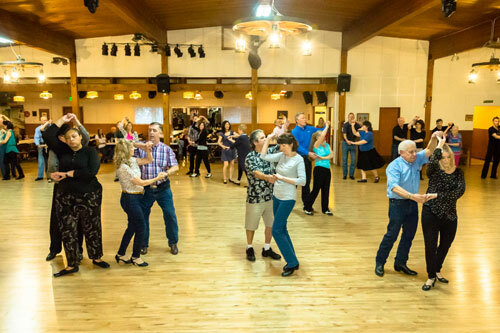 The Rockin' Horse Dance Barn provides a wide variety of traditional adult & couples dance classes including ballroom dances, swing dancing, country dances, line dances and Latin dances. There’s something for everyone! Because our professional instructors love sharing their dance skills you can learn how to dance whether you are a beginner, intermediate or advanced dancer. Adults can learn a variety of traditional dance styles for singles and couples with or without a partner. 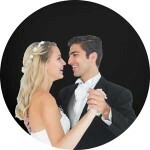 We can help you learn ballroom dances, swing dancing, country dances, line dances, and Latin dances. Join us, and we’ll help you find the song in your heart, the beat in your feet, and a new passion for life! The Rockin’ Horse Dance Barn offers Ballroom dancing to Swing dancing, Country dancing to Latin dancing and lots of Line Dancing! Look here when there is a question of how the weather is or if there are any cancellations due to weather. if there are no recent updates. For Mobile devices it’s quickest if you just restart your device. That should clear your cache and it’s good for your phones anyway. We are open as usual !!! Learn how to dance from our Professional Dance Instructors in a fun group setting with other dancers at a similar level to you at a pace the group can handle at a fixed time each week. Click here now to see our full schedule of current classes. 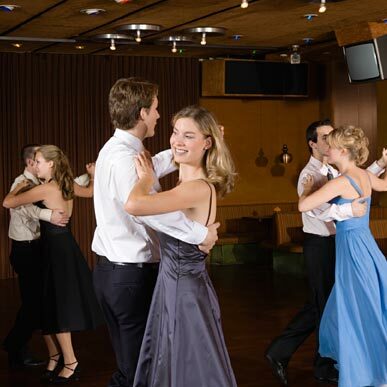 Learn to dance in a relaxed individual environment by yourself or with a partner. Get one-on-one dance instruction with a Professional Dance Instructor at times that fit your schedule. Every Friday night starts off with a Pre-dance lesson to warm you up and break the ice for the new dancers. Then after the lesson you can dance the night away with a great variety of fun dance music played by our best DJs. 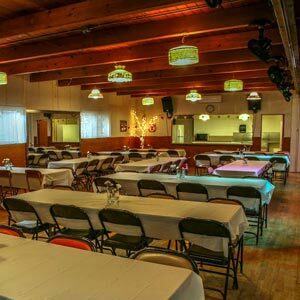 The Rockin' Horse Dance Barn is available for weddings, receptions, Bar/Bat Mitzvahs, Quinceañeras, Christenings, classes, company parties, corporate meetings or other activities like Yoga, Karate, Pilates or various Ethnic Dance Classes. Learn how to dance today! Ballroom Dancing is not one dance but rather a group of dances for a type or genre of music. Big Bands or DJs will play a variety of songs that can be danced to with a partner. The most common or popular ones are the Foxtrot, Waltz, Jitterbug (see also Swing) and Tango. Check out our schedule of ballroom dance classes here and let us help you learn to dance. Country dance is not one dance, or type of dance, but rather a group of dances done to Country music. Country Bands or DJs will play a variety of songs that can be danced to with a Partner or you can Line Dance to them. Check out our schedule of Country dance classes here and we can help you learn how to dance to Country music. This Swing is perfect for the ’50s & ’60s music and more. It is very lively with its different style movements. You will find yourself really getting into the music and having fun. There are many types of Swing in the world including the Lindy Hop, East & West Coast swing, Jitterbug, Country or Retro Swing, and they depend on the music, culture, style and tempo of the music as to which one you want to learn how to dance to. Check out our schedule of Swing dance classes here. Our Latin dance classes run the gamut of traditional Latin dances including the Tango, Rumba, Cha-Cha, Salsa and Bachata. If you want to learn how to dance to Latin music we can help. Check out our schedule of Latin dance classes here. Join other dancers and learn some fun Line Dances or just come for the great exercise! We teach many different line dances to all genres of music like Country, Top 40, Hip Hop, Ballroom, Blues, Funky, Latin, Irish, Swing and much more. Everyday students join our classes and learn how to dance. Check out our schedule of Line dance classes here. Nightclub or “Club” dancing means something different to everyone. Here are the dances we consider Nightclub dances. We are here to help you learn how to dance. Enjoy the confidence gained by knowing how to dance when you go out to nightclubs or just a reception or company party. If you don’t find the one you are looking for check under some of the other categories. Check out our schedule of Nightclub dance classes here. A private lesson is one-on-one instruction between you and your instructor, or you, your partner, and your instructor. Private Lessons are a full hour long. 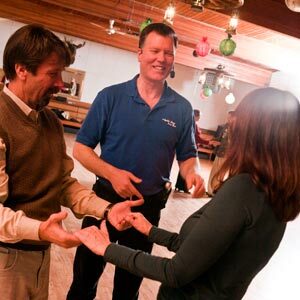 Group Classes are a great way to learn patterns, but there is no substitute for working one-on-one in a private dance lesson with a professional dance instructor to learn how to dance and greatly improve your dancing skills. If you are getting married soon this is the best way to learn how to dance for your First Dance, Father & Daughter Dance, Mother & Son Dance or get the wedding party dancing before your big day with a Semi-Private series of dance lessons. Click here now for more information and you can register for your first Private Dance Lesson. See schedule of all of our classes here. Not sure which dance you want to learn first? Look here at all our Group Dance Classes in one place. Find a day and time that works for you to learn how to dance! See What's Rockin' at the Barn! See what our Rockin' Horse Dance Barn customers have to say! Great place to dance with very nice people. Lots of fun every Friday night. My wife and I have been dancing here for just about a year now and the people are great. There is never a shortage of partners to dance with if your single. The music is very good and Dave the owner will always tell you what kind of dance you can do to each song. The people are very nice and fun to be around. Rockin' Horse is loads of fun My hubby and I started taking lessons and going to their Friday night dances over a year ago. We have made many new friends and enjoy Dave and Jimmi. Just like our second family now. Such a fun place to be! Fun and friendly dance destination I have always had a great time at the Barn. People are friendly, courteous and always ready to dance. Dance floor is wonderful and the music is perfect for partner dancing as well as the occasional free-style. My favorite dance spot.in the country!! Lots of fun and great people to dance with. Huge dance floor, reminds me of the good old days of country dancing. The Friday Night dances have been great for my renewed social life. My husband and I decided long before we got engaged,that we would take dance lessons.Neither of us could dance;he has two left feet and I have no rhythm.Yikes! I searched reviews online, and ended up booking a single lesson at Rockin Horse Dance Barn to see how their teaching style differed from what we had previously experienced. It was a night and day difference and we haven’t looked back. We worked with Dave, the owner, and explained our situation and he worked with us to choreograph our first dance. The initial song that we had chosen ended up being too fast; he and his wife demonstrated how we could dance to it, and we decided sprinting through our first dance was sub optimal. We ended up choosing a different song, which worked out to be a much better fit. Dave was patient with my husband’s two left feet, and helped me find my rhythm. If we didn’t like a particular step he showed us, it was no big deal to let him know and we used something else. The dance came together and it was amazing. The day of the wedding was a blur, but watching the video was the most incredible feeling. The dance began as they all do, side conversations here and there…but by a third of the way into the dance, all eyes were on us. We were focused on each other, we didn’t miss a step and everyone cheered after each turn, and at the end of the dance. When we were walking off the dance floor, the MC stated that that was what two people in love look like. It was amazing and so emotional. We will definitely be back to continue taking lessons together. It was great to have quality time with my husband while we do an activity together. Thank you Dave for giving us a memory that will last a lifetime! Rockin Horse Dance barn provided both dance lesson for our first dance and DJ'd our wedding. Here are reviews for both. The Rockin Horse Dance Barn is a great place to learn social dancing. My groom and I started taking group dance lesson, 9 months before our wedding. We did waltz and east coast swing. Our instructor for all of our classes was Jeannette Baker, she made the classes fun, made sure everyone was getting it and we could even do a short dance at the end of 6 wks lesson. Then we took private lessons about once a week till the wedding, Jeannette helped us choragraph 2-first dances for our wedding. They both were big hits, if you could only see the video and hear the people cheering and clapping though both dances. So many comments from friends and family how great our wedding was and the best part, was the dances! Dave Serfling, owner,DJ and dance instructor, did a great job at our wedding. He played our wedding and reception music. As a MC he did a great job making sure the running of the wedding went smoothly. He was there early for set up, met with us to do a quick run though of the timeline. He and my wedding coordinater ran the show from then on. One thing you get with Dave that you dont get with other DJ's is he is a profressional dance instructor. So after dinner everyone went out to the dance floor and he taught a lesson in how to do the jitterbug. My guests loved it. My children are in their 20's them and their friends were all participating it was great. They all thought Dave was a great dancer! My daughter and her boyfriend are even thinking about taking some jitterbug lessons. It truly added to the fun of our wedding.